A great news to be shared. 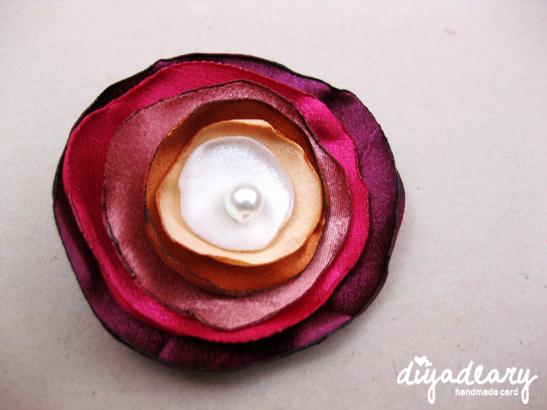 InsyaAllah, more fabric flower designs coming soon! And, we also have decided to call this design as Amia. It's actually a French name which mean dearly loved. Sweet isn't? 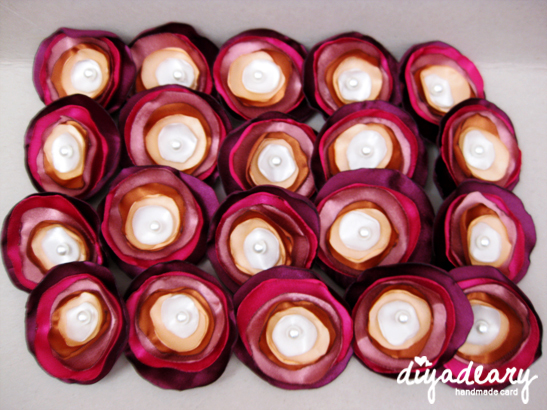 These are twenty pieces of fabric flower with pin ordered for a wedding recently. 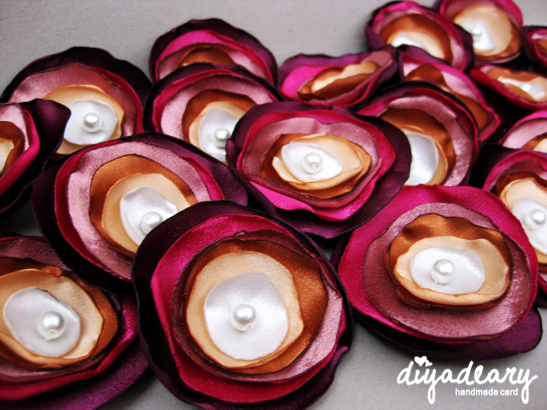 Each flower size is approximately 7 cm with 6 layers of different fabric colors.